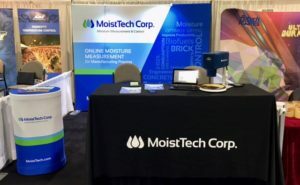 MoistTech Corp. was recently in attendance with the IPPE (International Production & Processing Expo) in Atlanta, GA where we educated attendees on the importance of moisture measurement and control in the production and processing industry. We met many great people and look forward to participating more heavily within this industry to provide improved products and processes. Our goal is to see you succeed with a prominent product! See you next year at IPPE 2018!